Bus Blaster v3 JTAG debugger is back in stock at Seeed Studio.The cool thing about the Bus Blaster is that it uses a programmable logic chip as a buffer. 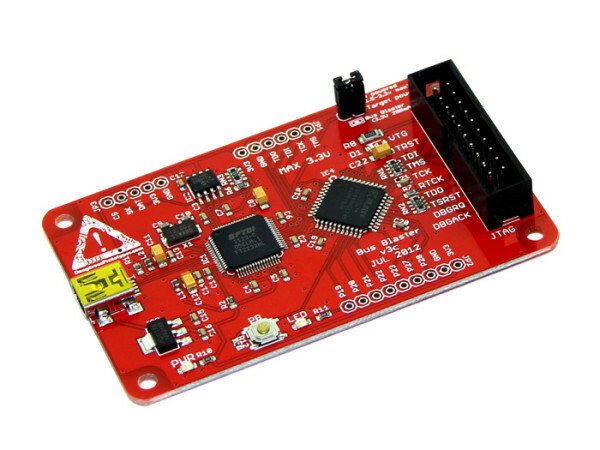 It can imitate different types of programming hardware with a simple USB update. You can get a Bus Blaster v3 for $34.95. This entry was posted on Monday, November 18th, 2013 at 7:00 pm	and is filed under Bus Blaster, News. You can follow any responses to this entry through the RSS 2.0 feed. You can skip to the end and leave a response. Pinging is currently not allowed.